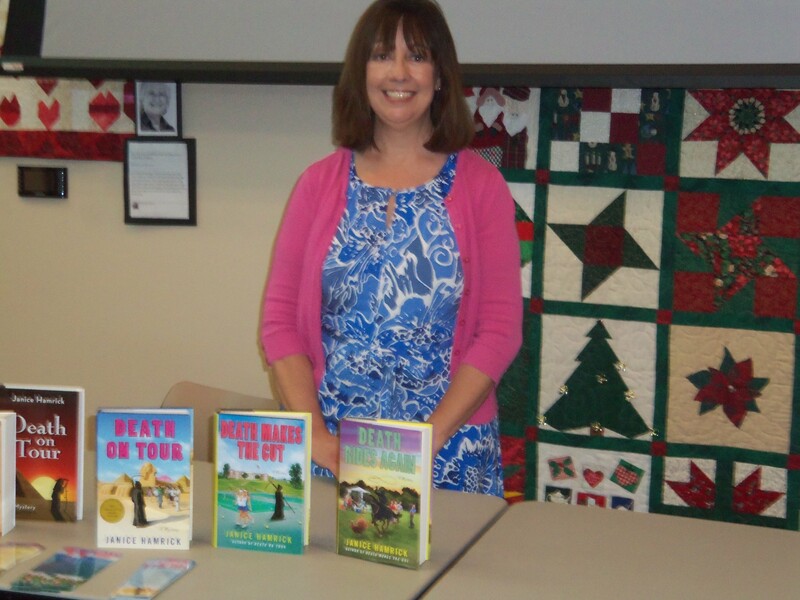 Austin Mystery Writer Gale Albright attended novelist Janice Hamrick’s book event at the Pflugerville Public Library and writes about it on her blog. Hopeton Hay of KAZI Book Review interviewed author Janice Hamrick at the Pflugerville Community Library on Saturday, July 20, 2013 about her new mystery novel, Death Rides Again. Dear Kathy, I left a comment on your blog a few days and went back today to the same page. It was then I realized I’d bookmarked a specific posting and not your blog itself. So here I am today, hoping that all is going well in your life. I’ve been away from blogging for two months and I’m returning now to catch up! It’s generous of you to present this posting on a fellow author. Peace.